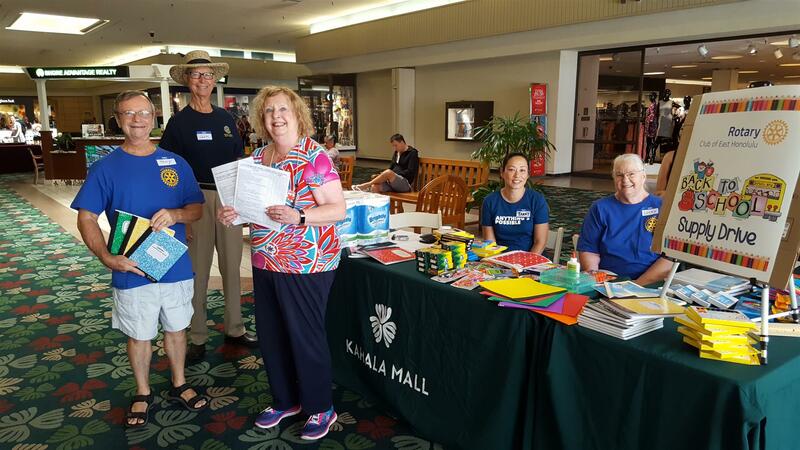 On Saturday, July 28, 14 rotarians and 5 teachers from Palolo Elementary school collected donations in front of Long’s Drugs at Kahala Mall. 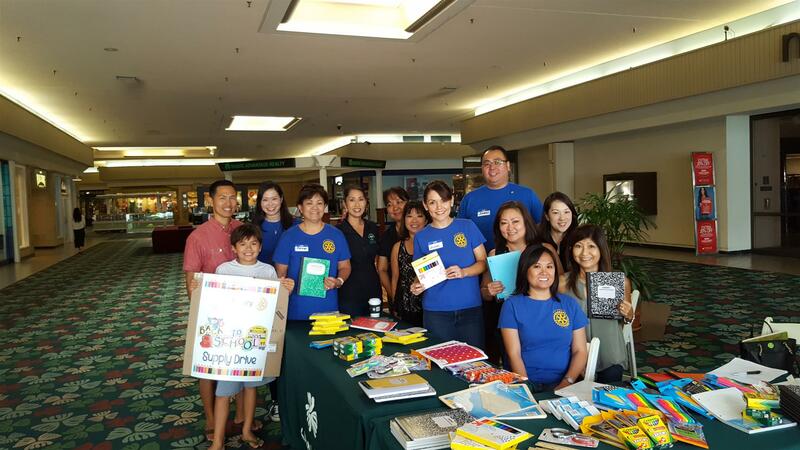 Thank you to all of the wonderful Kahala Mall shoppers who donated school supplies, the Presidents of other clubs who visited and donated supplies, to the Kahala Mall for hosting us, and most of all to our dedicated rotarians who took time out of their busy Saturdays to collect much needed school supplies. 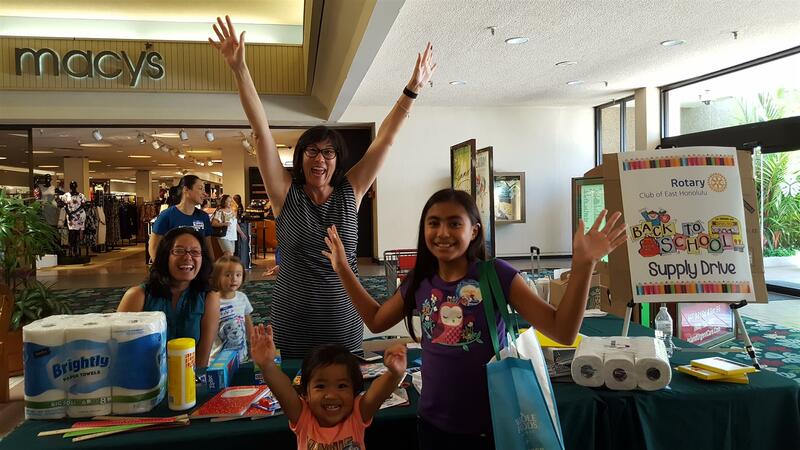 A BIG Mahalo to Janice Kim for storing the school supplies until we present them and to Ashli Sasano for chairing this project. When you see these rotarians, please tell them thank you for a job well done: Anne Komatsu, Lauren Okinishi, Jamie Apuna, Jeannette Espiritu, Dailyn Yanagida, John Strandberg, Tony Cara, Lucky Cara, Tanny Waters, Jack Hinton, Janice Kim, Ashli Sasano, VIvian Best, and Wendy Chang. I hope you can join us when we officially present these school supplies to Palolo Elementary sometime in August!